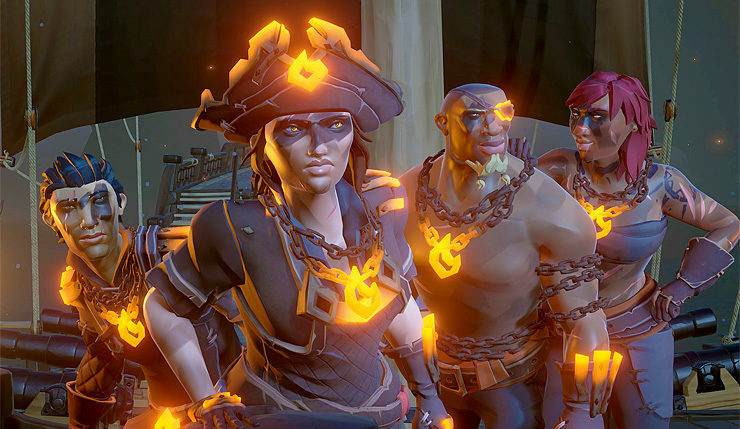 After a short delay, Sea of Thieves’ third major content update, Forsaken Shores, has arrived. For those who haven’t been keeping up, the free update adds the new volcanic island, the Devil’s Roar, which will force players to content with a host of new threats like exploding lava, earthquakes, geysers, superheated water, and more. Of course, the update also brings new Commendations, Bilge Rat Titles, and a batch of new gear to outfit your buccaneer with. 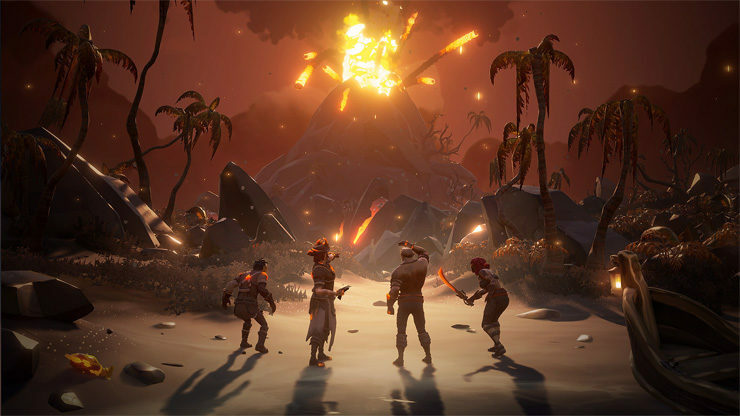 You can check out a video walkthrough of all the new Forsaken Shores content, below. Geysers – Geysers are active in The Devil’s Roar and can launch you into the air… so watch where you step! 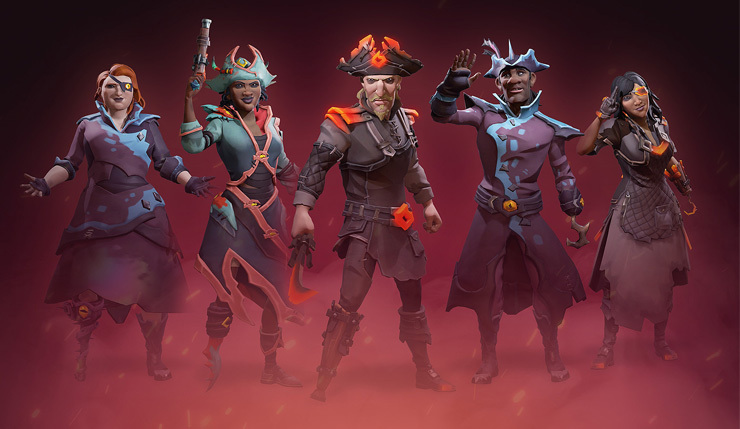 Time-Limited Items – The Forsaken Ashes weapons and ship liveries are available throughout the Forsaken Shores campaign. Visit Duke in any tavern and exchange your Doubloons while they are in stock! After feedback shared with us about the changes made to barrels and inventory management in Patch 1.2.4, we improved the stocking-up speed which will significantly reduce the number of button presses required. We will continue to monitor feedback, and you can read Design Director Mike Chapman’s further insights into what the future holds for these systems. Barrel Auto-Advance – When removing resources from barrels, if all items in a stack are removed, the next stack with remaining resources will automatically be selected. We are constantly reviewing the performance and stability of each patch and providing performance optimizations and stability improvements. Players’ levels of reputation with each Trading Company are now correctly displayed on the reputation screen. Barrel names on the ships are now correctly localized. The effects that appear after digging no longer appear to have lines running through them. “Back” and “Discard” tooltips are no longer missing from the voyages inventory. Light emitted onto the sea from a lantern no longer causes a pixelated effect. Phew! That’s a lot of new stuff – expect a 4.9GB download on the Xbox One, and 5.5GB download on the PC. Still not excited for Forsaken Shores? Perhaps Matt Berry and his velvety pipes can make you say “Yes!” to the update. Sea of Thieves is available now on PC and Xbox One.